Russian opposition leader Alexei Navalny has been detained and charged with violating public assembly laws less than a month ahead of the presidential elections. Navalny has called on his supporters to avoid voting in the March 18 elections that President Vladimir Putin is expected to win, instead urging them to monitor polling stations for violations. “I got a toothache, I went to the dentist. Stepped out of the dentist — ‘Hello […] you are being detained.’ They’re taking me somewhere,” Navalny tweeted on Thursday. He followed up minutes later, saying authorities charged him with an administrative violation of public assembly rules — a charge that carries a maximum sentence of 30 days — before releasing him. “I was released until the trial. 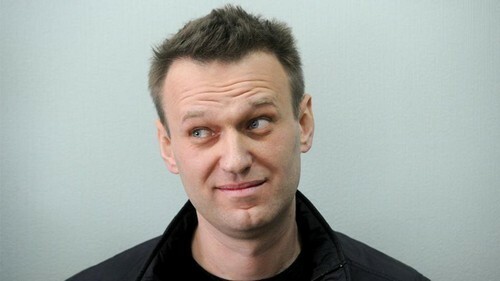 It’s unclear when the trial will take place,” Navalny wrote. Navalny’s aide Leonid Volkov was detained at Moscow’s Sheremetyevo Airport less than an hour earlier, while the director of his foundation, Roman Rubanov, was detained at the same airport earlier this week and placed under 10-day arrest for a Jan. 28 election boycott rally.